Three Months of Vacation a Year? Yes, Please! Hey there! 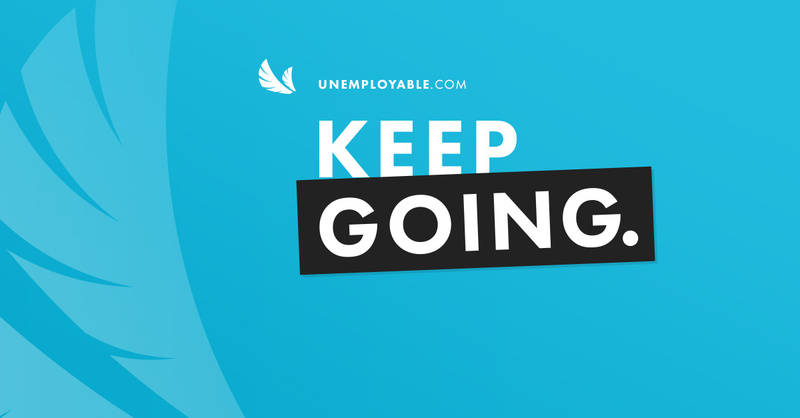 The Unemployable newsletter is back after a week off for spring break with my kids, so we have two episodes of the podcast plus the usual assortment of helpful links. First up on the show is Sean D’Souza. We know that owning your own business can lead to the lifestyle of your dreams, but only if you’re very intentional about it. And that’s exactly what Sean D’Souza has done for himself. Instead of constantly trying to grow ever-higher revenue from his courses and membership program, Sean makes enough money to live the life he wants, which means three months of vacation every year. In the second episode, I’m flying solo and talking about a crucial topic — positioning yourself in the marketplace. I call it your winning difference, which is why people do business with you and not someone else. Finding your winning difference, and reflecting that difference with your content marketing, sets you apart and makes you the only real choice for the right people. Here’s some help. And finally, I’ve got to tell you about a big promo we’re doing for StudioPress Sites. Not only will you get your first month free, we’ll also migrate your existing WordPress site over at no charge. Check out the details here. What should you do when you’re not inspired? Work any way. Don’t treat creativity like it’s precious. If you’re creative for a living, then creativity is your job. In this article, I walk through the process for documenting a content marketing strategy. The idea is to show you how the process of figuring out who you’re talking to, what they need to hear, and how they need to hear it translates into a real world email marketing sequence. The unconscious pattern recognition our brain is constantly performing is what leads to breakthrough moments—and you can train yourself to have more of them. Extensive report from Trend Watching that can help you better understand the forces that are shaping consumerism, and therefore marketing and sales. Really useful stuff, so make sure to follow the section links for more detail. Wondering if your social media marketing efforts are paying off? Want to better understand what’s working? A social media audit will help you analyze the impact of your social media tactics. Around the world, automation is transforming work, business, and the economy. The pace and extent of adoption will vary from country to country, depending on factors including wage levels. But no geography and no sector will remain untouched. You know I’m a big fan of partnerships, so it’s cool to see this becoming a real trend in the world of “independent” business. Teaming up to do great things is awesome. But how do you determine who owns what from an intellectual property standpoint once you’re into it? You guessed it … that needs to be determined up front.